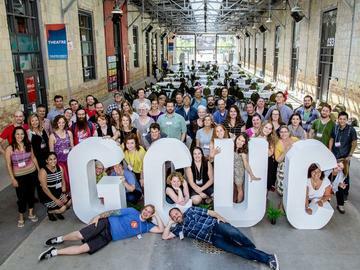 Creative Blueprint presents the Canadian edition of the Global Coworking Unconference Conference - GCUC Canada. In 2016, the largest Canadian Coworking Conference will be hosted in Montreal, Quebec. Together we will inspire and empower as we share our collective experience with an international audience. Industry leaders and talented delegates join forces in la belle province to share best practices and to shape the new work landscape. Speakers, panelists and performers from around the globe will explore the complex nature of the independent workforce, self-employment, shared workspace, community building, the sharing economy and the emergence of our rapidly expanding industry, over 3 days together in one of Canada's most enchanting cities. All tickets may be transfered, but please note that there are NO REFUNDS AVAILABLE.